Setup - A Dell EMC 14th Gen AMD server, with ESXi 6.7 as host and Ubuntu 18.04 (latest updates) guest. Guest has 3 data disks apart from the boot disk. 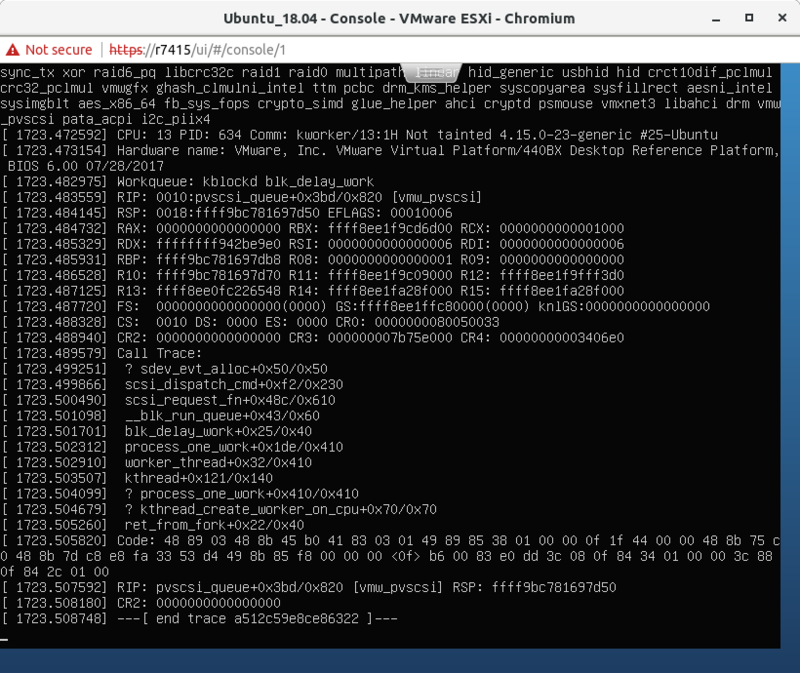 All these disks are exposed through "ParaVirtual SCSI controller" from the host ESXi 6.7. Run diskio stress on all the 3 data disks for overnight. Guest goes unresponsive (even ping fails) in between. Only way to recover is to reset the guest. Logs do not indicate much on this error. Rarely we get a crash on the Guest-screen. Attaching 2 screenshots of different hits. 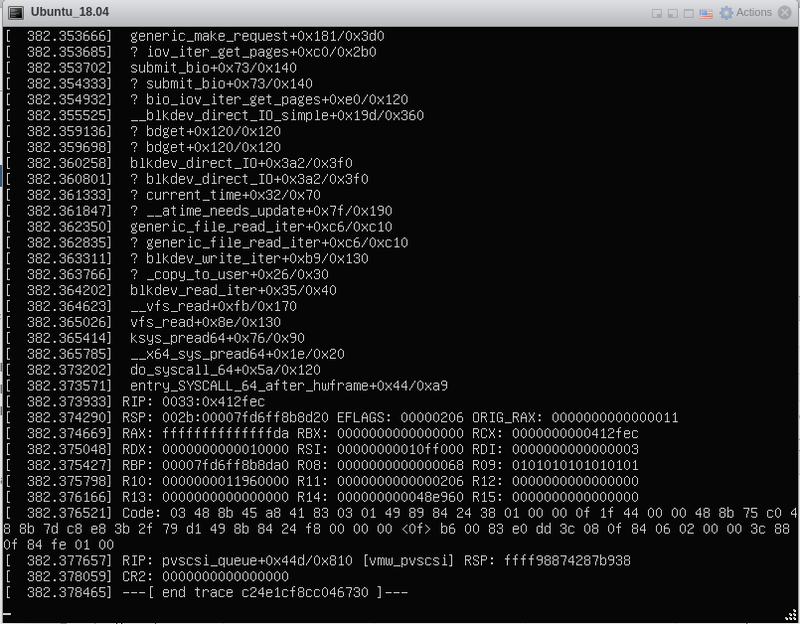 We have tried mainline kernel v4.18-rc-2 and have hit the issue there as well. Changing the SCSI controller to "LSI Logic SAS adapter" helps and we have not seen any crash/hang here. * Also hit with 16.04.4 HWE kernel 4.13.0-45-generic. Moving back to Confirmed state - since all the available logs are already uploaded. I'd like to perform a bisect to figure out what commit caused this regression. We need to identify the earliest kernel where the issue started happening as well as the last kernel that did not have this issue.